Lindsey's daughter spent the first two weeks of her life at the St. Joe's NICU. The doctors and nurses are forever a part of our family and we are eternally grateful for their care and support. 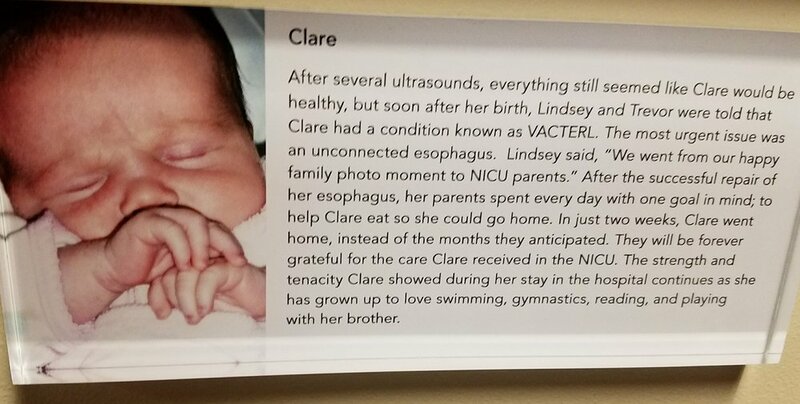 On December 9, 2017, the NICU nurses unveiled the Wall of Hope, highlighting NICU survivors and their stories over the decades, including Clare. Now, as parents and loved ones walk the long hallway to care for their baby, they will find pictures of inspiration and stories of hope.